With extensive experience in real estate transactions and fund compliance, Todd has the ability to find the right path forward for clients and keep strategies aligned with business objectives. He works with real estate fund sponsors and investors at all stages of a deal, including structuring funds and joint ventures, raising capital and acquiring real estate assets. As a former principal in a real estate private equity firm, he has a full understanding of governance, compliance, operations and asset disposition. 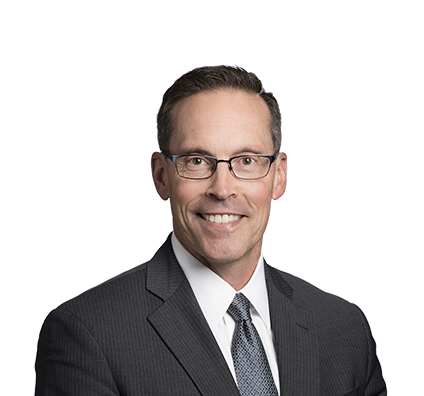 Todd regularly advises clients on mergers and acquisitions, federal and state securities law compliance and financing transactions. He is General Counsel and Corporate Secretary for AFA Service Corporation, the Arby’s national franchisee association. He also represents one of the largest Arby’s franchisees in corporate, real estate and general business matters. Todd works with emerging companies to raise funds and complete joint ventures. He helps startup clients understand the market in order to best position themselves for success as they try to raise capital. No matter what his project, Todd is a trusted advisor to clients and works diligently to help them succeed and achieve their broader goals. Represented sponsor in $500 million private offering to institutional investors and negotiation of related subscription secured credit facility to finance investments in multifamily, self-storage, office and mixed-use portfolio assets. Advised sponsor in private offering for acquisition and development of more than 200-acre mixed-use real estate development. Also negotiated Master Development Agreement and related agreements. Represented same sponsor in four previous private offerings to fund acquisition of commercial real estate assets and development land. Counseled developer in negotiating terms of joint venture with major investment bank to source more than $90 million of capital for acquisition and development of shopping center. Represented sponsor in private offering to institutional investors to fund real estate debt investments. Advised sponsor on $150 million Regulation D, Rule 506(c) offering to fund purchase of Midwest farmland. Todd loves spending time with his wife and their three children. They enjoy playing golf and traveling together. Todd has a vast interest in leadership development. He and his wife are very active in their church. They particularly enjoy facilitating marriage ministry and making a difference in people’s lives.